Blend smoothie ingredients (berries, yoghurt and extra papaya) until smooth. 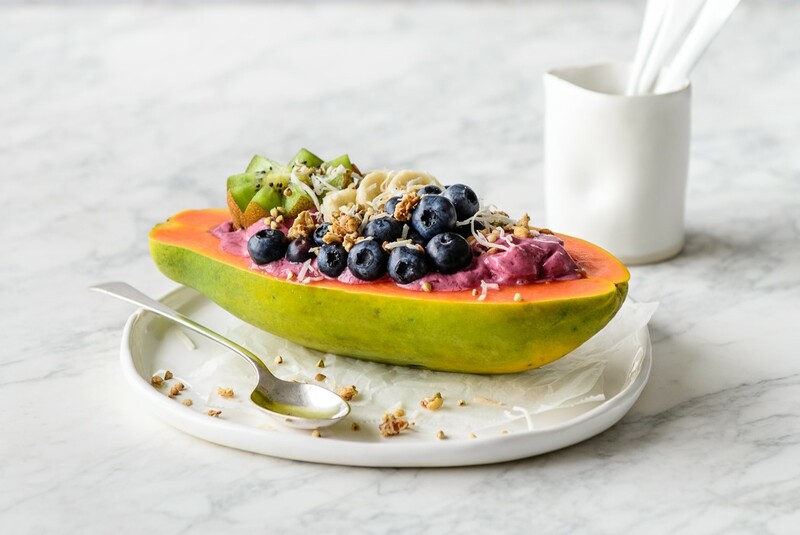 Spoon smoothie into de-seeded papaya half and garnish with your choice of toppings. Serve immediately.